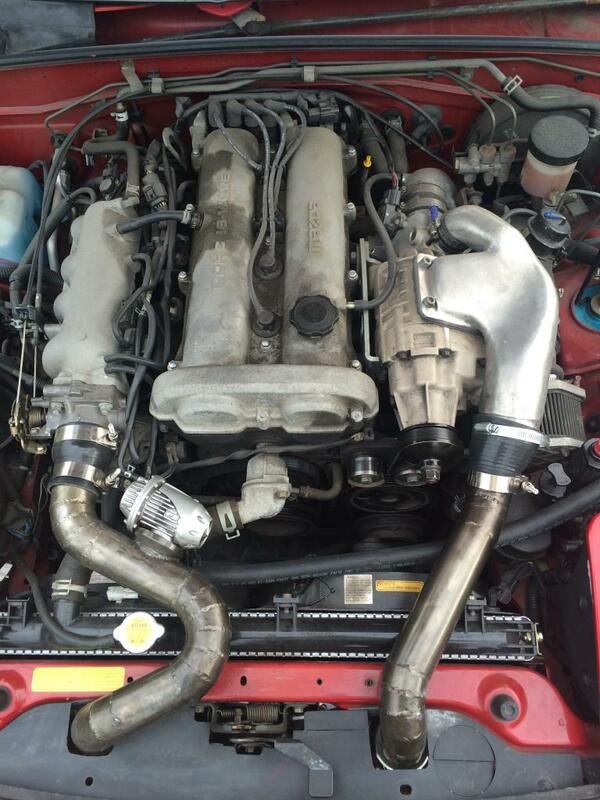 M45 Knocking Noise (Video) - Miata Turbo Forum - Boost cars, acquire cats. So I bought a Jackson Racing M45 kit for my 1.8 that was rebuilt by High Power Labs in August, a company with a good reputation. 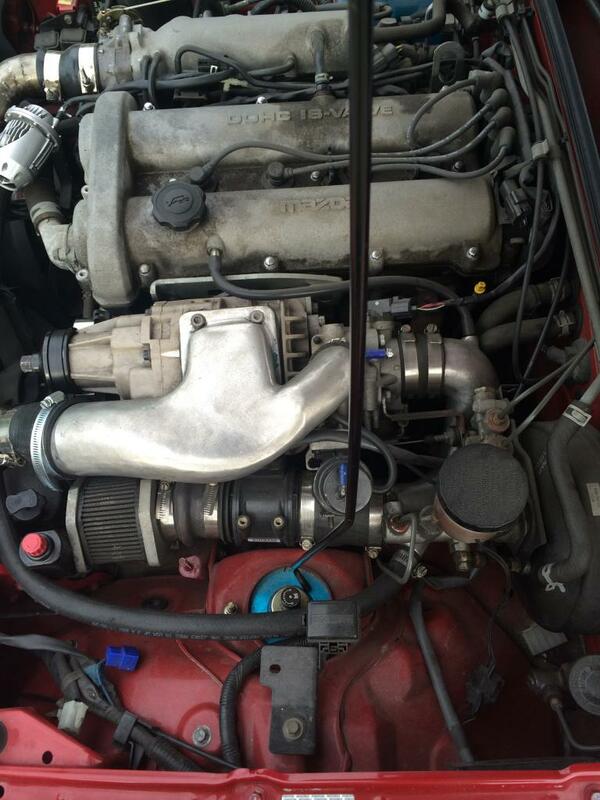 It's running stock boost/nose/pulley, dual throttle bodies, intercooler, and TDR tensioner. Two days ago it started making this knocking/rattling noise and has gotten worse over the last few days. It is still warrantied but I thought I would post a video on what it might be see if anyone's experienced it before. I have a feeling it's the bearings. My second question and more importantly is what would I have to remove to be able to run the car without the blower but leaving as much of the stuff in while it gets repaired? It's my daily so unfortunately I can't have her off the road :(. Any feedback is appreciated! Mine went bad on the mini.... sounded just like that... but a bit more like a vaccum cleaner. Its toasty.... You CAN rebuild it.... but dont.... Not worth it. Sounds like it might just be the coupler in the snout. Very cheap and very easy to change. I would try that before you junked the blower. FYI The company is called "The High Speed Lab" and if it's under warranty go ahead and send it back to Wade. He is a good guy who stands behind his work. Have fun taking off all that stuff. You have to take off the SC, switch the TB back, take off the pulley system (unless you can run without AC and PS) Ya... Superchargers are awesome. You really will just need to pull the throttle body off the back of the blower, put it in place of the "dummy throttle body" which is now on the intake manifold, attach the MAF and a Air Filter to the throttle body, hook up the TPS and MAF connectors and you should be good to go. You should be able to leave everything else where it is, if I remember correctly. OP has dual throttles, no dummy TB. Removal is easy, no need to do anything other than pull the blower, assuming you can live without P/S and/or A/C. Just stick a filter on the end of your IC pipe, it's only temporary. I can vouche for the high speed lab (aka Embree Machine) in PA. They rebuilt mine and a friend's blowers and did fantastic work. As for these eggplants saying removing the blower is a job, it takes me about 1 full hour to return to full retard CARB legal stock from my unthrottled setup. M45 kits are cake to remove and replace, and almost every bit of mounting hardware can be left in the bay while the blower is off to be repaired. If you do go as far as to invest anything into that kit, ditch the old first gen snout and get the later one with a removable and interchangeable nose pulley. You can upgrade to a 6 rib and reduce the diameter for less slip and more bewst. Nevermind thanks for guidance guys. It only took 45 minutes. Hardest part really was adjusting the throttle cable back to stock haha. Missing/knock at idle, can someone point me in the right direction?